I've been using MightyText for a while now, it's an app you install on your phone and register with, it then sends your SMS to their servers and you can login to your account from your browser and send/receive messages. 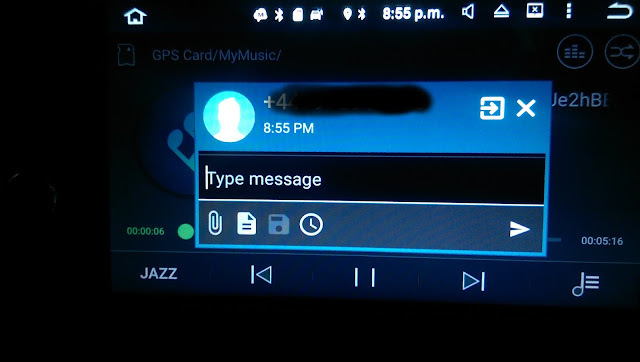 It works really well, just does what it's supposed to, and despite that meaning 'they' have a copy of all your text messages, it's a great idea and I use it regularly to type a message from my computer instead of phone screen. This is the popup window that appears when a message comes in. 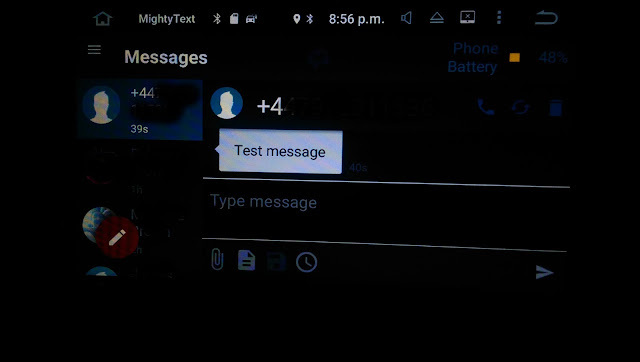 The text of the message is missing, it should appear below the time and above the "Type message" prompt, but due to the screen being in landscape orientation it appears like that. You can make the message out this time, but only the first line of it. If you then go to reply the keyboard then squeezes the screen so none of the message is visible. very small message window due to all the other dialogues. Please can advise how to fix this display problem? Got it, this is currently the expected behavior. We may change this in the future. So that's it, basically they know this, they do it on purpose (Expected behaviour?) and that they aren't really doing anything about it. Really disappointing this, so I'm on the lookout for a similar app that will work correctly on my tablet screen.